Hillcrest Guest House was built in the 1880’s and has been a guest house for most of her years. The building is a local icon and the people of Cooktown reserve a special place for this beautiful piece of history. Recently refurbished to bring back her beauty and charm and capture the tranquil feel the beautiful garden and surrounds generates. 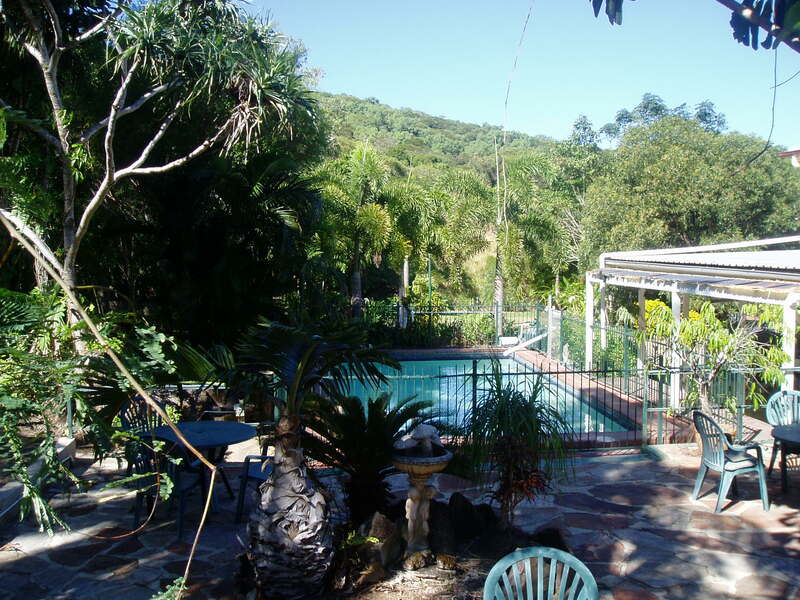 Perfect for relaxing by the glistening pool, which was Cooktown’s first swimming pool – 20 years ago the local school children learnt to swim in this pool. The guest house consists of 8 bedrooms of various configurations, please advise your requirements. Hillcrest is a shared facility with new bathrooms and kitchen fitted with all cooking utensils. There is also one studio apartment downstairs and 3 ensuite rooms at the back of the property. Downstairs there is a spacious sitting area with peaceful gardens and swimming pool for all guests to enjoy.